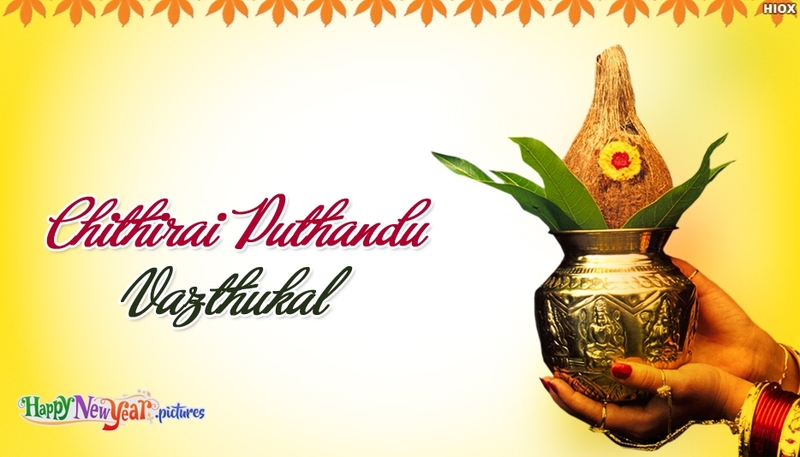 Chithirai Puthandu or Tamil New Year is the first day in the Tamil Calendar. April 14th is the day Chithirai Puthandu or Tamil New Year is celebrated by the people of Tamil Nadu. On this auspicious day, people of tamil nadu used to keep a tray of fruits, gold ornaments, money, and a mirror and pray god, wear new clothes, prepare special dishes for lunch, sweets, go to temples and greet each other. People believe that celebrating the festival on this day would bring them all love and happiness in their life. Here is an awesome traditional ecard to wish all your Tamil Friends a Happy Tamil New Year in their and share your heartfelt wishes to them and their family. Share this Chithirai Puthandu Vazthukal ecard with everyone through Facebook, Twitter, Whatsapp and spread your warm wishes on this holy day.